Building the Curriculum 5 states that “professional dialogue is central to the creation of [a] shared understanding” and that “Local Authorities will develop procedures for moderation across their schools and for linking local and national arrangements.” This document outlines East Lothian’s approach to providing opportunities for teachers to participate in professional dialogue and collegiate working. The Local Authority is facilitating three cluster level moderation meetings and three East Lothian wide meetings this session for each of Literacy & English and Numeracy & Maths. An introductory meeting for cluster representatives will also be held in September 2010. These meetings are intended to support moderation activity which should be taking place in all schools as part of Curriculum for Excellence. 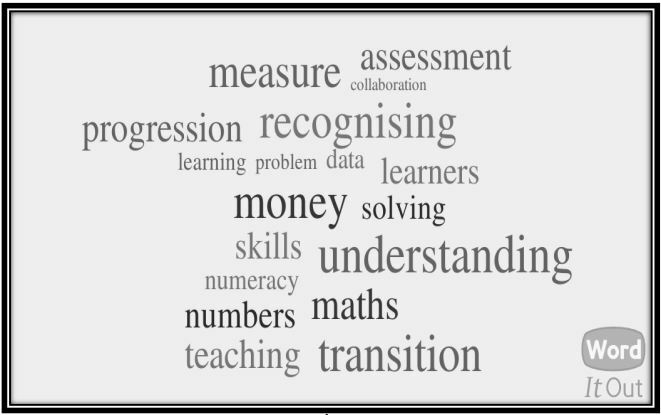 By the end of the 2010/11 session, moderation activity as outlined in Building the Curriculum 5 is taking place across East Lothian in Literacy & English and Numeracy & Maths. By this time, practitioners will be developing a shared understanding of standards and expectations for the broad general education (early to fourth levels). Each School (Nursery, Primary & Secondary) should identify a moderation coordinator for each of Literacy & English and Numeracy & Maths; these are referred to as ‘School Coordinators’ below. Some small schools may wish to share these roles. Three (two Nursery/Primary and one Secondary) of these coordinators will represent their cluster at Authority Moderation meetings and lead their Cluster Moderation meetings; these are referred to as ‘Cluster Coordinators’ below. All Cluster Coordinators to attend a half-day meeting which will provide them with clarification of their role, an overview of the planned process and an opportunity for discussion. Cluster Coordinators lead meetings with School Coordinators to provide them with clarification of their role, an overview of the planned process and an opportunity for discussion. Cluster Coordinators come together to discuss outcomes from Cluster Moderation Meetings and to plan for moderation from January. Cluster Coordinators lead meetings with School Coordinators to carry out moderation activity using examples from schools in their cluster. Cluster Coordinators meet to carry out moderation activity using examples from the Cluster Moderation Meetings. Welcome back to school everyone – hope you had a great summer despite the rain! As you know, we have three in-service days this year as one of them is our extra CfE in-service for Assessment & Moderation. So, what could you do with this extra day? Here’s a few potential resources. Last session we put together a series of workshop activities which all relate to CfE Assessment & Moderation. These can be used to guide in-service activities. There’s lots here so the idea is that you would modify it and only use what is appropriate for your context. Download the materials as a .zip file by clicking here. Some of the sessions in the above pack refer to the Assessment Exemplars on the LTS Website. These could also be used in isolation using the guides produced by LTS, or simply by staff logging on and reviewing some of the exemplars. To access the site, click here. The BtC5 documents can also be used as a CPD resource. The above workshops include these, but you could use the documents in other ways instead. Don’t forget that the new Reporting document is now available as well. You can download BtC5 here and the new Reporting document is here. You could also incorporate the fantastic video from Stoneyhill Primary School below. You could perhaps watch the video and then discuss the reflective questions which follow. 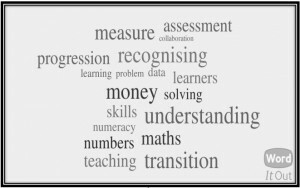 How does the teacher involve the pupils in their assessment? What are the pupils learning? What skills are they developing? How is the teacher offering personalisation and choice? What impact do you think this has on the pupils? What impact do you think this has on the teacher? How common do you think this approach is in this classroom? What would be the impact if these pupils’ next teacher didn’t provide them with these opportunities? How could you adapt your practice in light of this video? If you need any support with anything related to any of this, please don’t hesitate to get in touch! Building the Curriculum 5 is now out. A paper copy will be coming to every practitioner in due course (so don’t go printing out lots of copies just yet!) In the meantime you can download and read. Don’t forget there is also the Assessment and Achievement section of the LTS website. I attended the LTS Assessment Seminar on 2nd December and received lots of information on assessment which I thought I’d best share here. We started with an update from the Scottish Government. They’re assuming there will be no change in policy direction as a result of the recent cabinet reshuffle in terms of assessment. The Strategic Vision document was highlighted once again. The two major changes highlighted in this document are the NAR and Moderation. The framework for assessment (Building the Curriculum 5) is due for publication in January 2010. BtC5 is quite a substantial document (as long as BtC3) and elaborates on the points in the Strategic Vision. It was stressed that BtC5 builds on the principles of AifL. There will be a printed copy for every practitioner in Scotland. BtC5 will be accompanied by a 10 page executive summary, a poster with key messages and a Quality Assurance & Moderation Paper. This QA paper provides clear delineation and expectations and outlines roles and responsibilities for schools, local authorities, Scottish Government, LTS & SQA. It was stated that the Government recognises the massive impact of these changes on schools. There is a commitment to making arrangements available one year before a NQ becomes available. The Scottish Survey of Achievement is currently under review. Currently trialing Numeracy materials. Report will be published online in February 2010. A new CfE Management Board Subgroup has been set up to look at S3 Profile, Recognising Achievement & Reporting. National Guidance is due on this by August 2010. There is not an urgency for guidance on the S3 Profile and this may be later. The final message from the Scottish Government update was that the National Assessment Resource will not be live any earlier than 30th August 2010 and might not be properly populated until September 2010. LTS are investigating how to make some aspects of the NAR available earlier. The rest of the day was spent on the National Assessment Resource. LTS stressed that progress and achievement in CfE involves breadth of learning, challenge within learning and applying learning in new and unfamiliar situations. Support for CfE assessment, NQ and national monitoring arrangements. 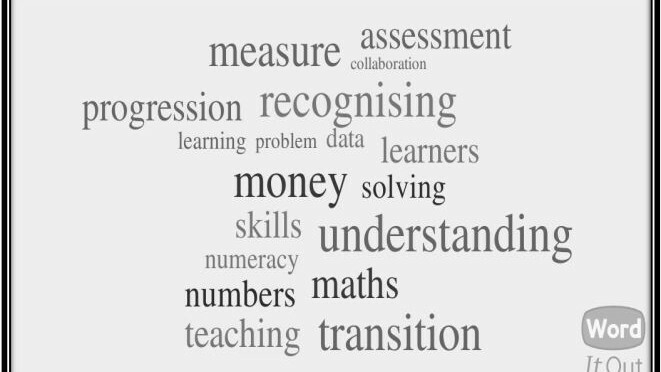 Examples of assessment approaches and evidence relating to experiences and outcomes across the curriculum areas, stages and levels. Examples and guidance for CPD in assessment. Initial focus on literacy, numeracy and health & wellbeing across learning. Opportunities for professionals to design and contribute to the NAR. Local Authorities have been asked to identify three establishments to be involved in developing content for the NAR – one early years, one primary and one secondary. Practitioners in these establishments will work with LTS/SQA to develop a package for the NAR focusing on one/two Literacy, Numeracy or Health & Wellbeing Experiences & Outcomes. This will be carried out across Scotland and LTS/SQA will ensure that packages are produced for Literacy, Numeracy & Health & Wellbeing at all levels and in all Curricular Areas. What should these ‘packages’ look like? We’re currently in discussions with three schools who are interested in being involved in this process.